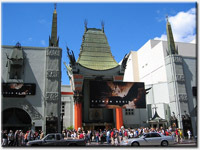 American Riviera Tours offers best LA shopping tour for Los Angeles visitors. This is a must do for everybody who intends to shop in Los Angeles CA area. If you have any questions, just drop us a quick note to info@latraveltours.com or call 1-800-761-1775, In Australia, call (03) 9005 5907.American Riviera Tours reviews. We will be glad to help you with the shopping tour in Los Angeles.